Enjoy a lifetime of savings and home value by installing high-quality new windows. Engineered by top manufacturers for a lifetime of value, Woodstock bow windows from our BBB-accredited company are guaranteed to exceed your expectations. Whether you’re looking for more functional interior space or want to make an impact on curb appeal, we can help you customize new bow windows to enhance the comfort and style of any room of the house. Enjoying the beauty of nature from your favorite room is easier than ever by upgrading to garden windows from Tight Line Exteriors! Designed to create a sun-filled nook that is both energy-efficient and beautiful, garden windows create an impressive focal point in any space and give you the opportunity to grow fresh flowers, plants, and herbs all year long! There’s no one-size-fits-all approach when it comes to Woodstock home windows, and Tight Line Exteriors will help you customize a window replacement to fit your space—without breaking the bank! From classic to contemporary styles, all of our replacement windows are built from top-grade materials that are durable, low-maintenance, and guaranteed to last. Choosing the right window installation company is important, and Tight Line Exteriors makes the decision easy with our transparent pricing, fast installations, and competitive warranties. From your free, in-home estimate through the final walk-through, our installers are committed to providing the best service and support in the industry. 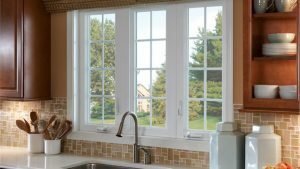 Are you ready to take the first step in getting beautiful, highly efficient replacement windows installed in your Woodstock home? Then there’s never been a better time to contact Tight Line Exteriors and learn about the expert service we offer! With 30 years of industry experience and top-rated window products, you can depend on us to be your trusted resource for exceptional home improvements. Just give us a call or fill out our online form today, and we’ll get you started with a free, no-obligation estimate!